What is Rewards Based CrowdFunding? The backer / investor receives a reward or perk in return for pledging as a form of pre sale or pre order. Common rewards include a thank you note, a branded t-shirt, or the product or services being funded. Top platforms include Kickstarter, Indiegogo, and RocketHub. 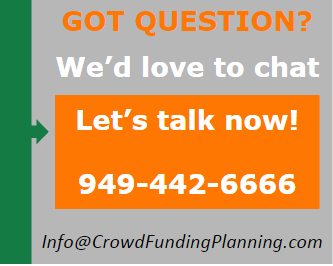 CrowdFundingPlanning and our divisions provide knowledge, resources and systems to assist you through all stages of your crowd funding project or campaign from education to campaign management.